Powered access hire specialist JMS has taken delivery of a MEC Titan Boom™ 60-S – which combines the deck space of a large scissor lift and the up-and-over capability of a boom. 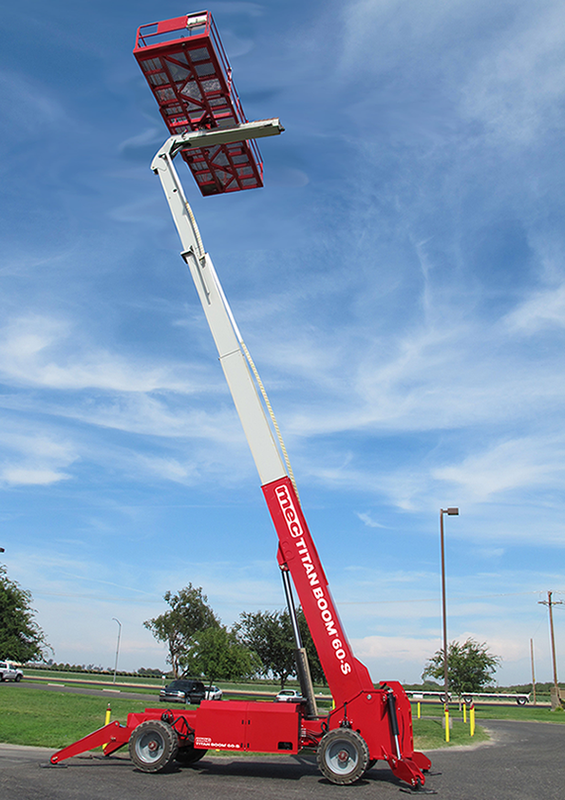 The MEC Titan 60-S can lift personnel, equipment and materials weighing up to 1,350kg to a maximum height of 18.3 metres, and it has a horizontal outreach of up to 14.6 metres. Mark Jackson, Managing Director of JMS, said: “The MEC Titan 60-S boom is a monster of a machine. It has a unique design, with features of a telehandler, a scissor lift, and a boom all in one machine. “This will allow our customers to carry out a wider range of tasks with just one machine. 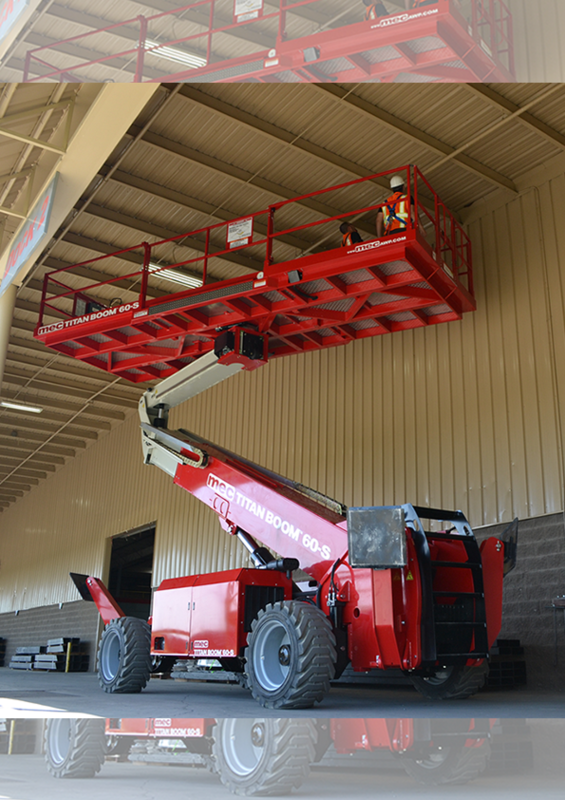 It has the deck size of a large diesel scissor, with the horizontal reach out of a large boom lift, plus excellent lifting capacity. 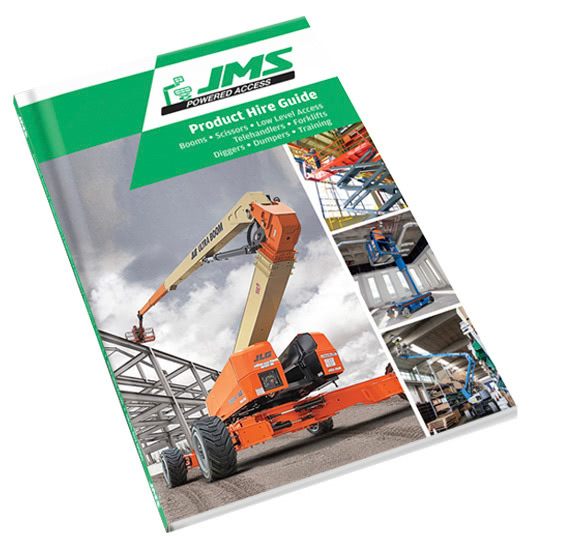 “There is growing demand for access equipment that allows extended, often multi-tasking, teams to work at height with large or heavy materials and equipment. The MEC Titan 60-S is perfect for the job. The MEC Titan Boom 60-S, available to hire from JMS. MEC designed the Titan 60-S boom to support construction, maintenance, and installation tasks that need to combine productivity with safety, such as curtain wall installation, steel erection, and pipe installation. The boom’s platform is designed to provide have enhanced visibility, and to support quick and easy loading of equipment and materials. Its impressive 40% gradeability means it can take on the roughest terrain an access boom is expected to handle. An advanced steering system supports precise manoeuvrability, despite the machine’s size. The MEC Titan Boom 60-S lifted. JMS purchased the MEC Titan 60-S boom from APS, the authorised UK distributor for MEC. It is available for hire nationally through JMS’s depots in Harpenden, Hertfordshire, and Leeds, West Yorkshire.